Find resorts in Honolulu, HI and other fun things to do. View our list of attractions, activities, events, restaurants and visitor information. Currently as low as $287.31/night! TA-114-954-4448-01 The infinity pool dining options free Wi-Fi and oceanside location attract guests to the non-smoking Alohilani Resort Waikiki Beach. Non Smoking Rooms. Currently as low as $106.00/night! TA-000-982-4256-01 Located in the Waikiki district in Honolulu CIMY Hawaii Resorts at the Waikiki Banyan offers a year-round outdoor pool and hot tub. 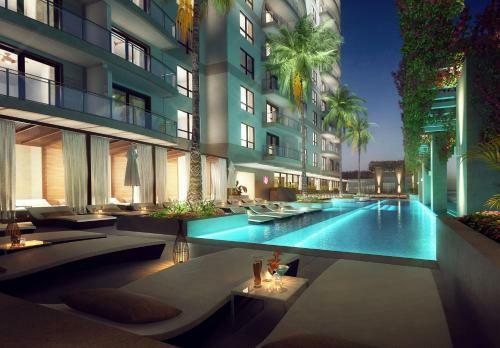 Saint Augustine by-the-Sea is 200 metres away. Free WiFi is available. Free Internet,Outdoor Pool, Non Smoking Rooms. Currently as low as $331.55/night! 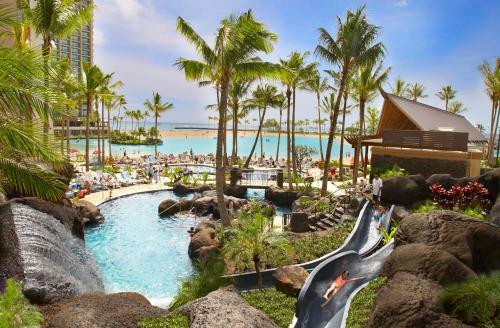 TA-121-575-4240-02 Located at the lavish Hilton Hawaiian Village the spacious kitchen accommodations with free Wi-Fi make a splendid sojourn for our guests at the non-smoking Grand Waikikian by Hilton Grand Vacations also offering a waterslide lagoon fireworks and more. Free Internet, Swimming Pool,Outdoor Pool, Free Breakfast, Non Smoking Rooms. TA-013-503-8976-01 Luxuries large and small combined with intoxicating views toward the mountains and ocean await our guests who stay at Halekulani directly on Waikiki Beach. Free Internet,Outdoor Pool, Non Smoking Rooms. TA-121-575-4240-01 Full kitchens and an oceanfront location on a spectacular 22-acre mega-resort with its lagoon pools and gardens thrill guests at the non-smoking Hilton Grand Vacations at Hilton Hawaiian Village. Free Internet, Swimming Pool,Outdoor Pool, Free Breakfast, Non Smoking Rooms. TA-212-922-5728-01 A sprawling wonderland on 22 splendid acres of Waikiki Beach Hilton Hawaiian Village goes all out to wow our guests with tropical gardens a lagoon an aquatic paradise of pools and waterslides fireworks and a whole lot more. Swimming Pool,Outdoor Pool, Non Smoking Rooms. Currently as low as $407.55/night! 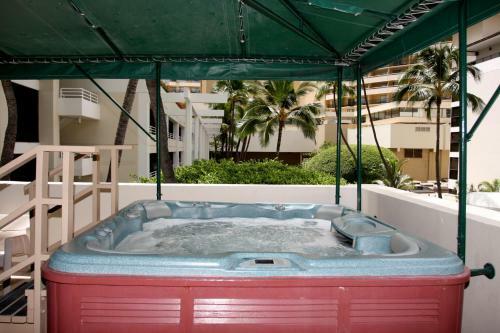 TA-142-797-8240-01 Walking-distance beach access in-room kitchens and a rooftop pool keep the sun shining on the non-smoking Hokulani Waikiki by Hilton Grand Vacations Club. Swimming Pool,Outdoor Pool, Non Smoking Rooms. Currently as low as $183.95/night! TA-095-888-5888-01 Tapas Smart TVs free Wi-Fi and bike rentals head the amenities' list at the Hyatt Centric Waikiki Beach located steps from shopping and the beach. Free Internet, Swimming Pool,Outdoor Pool, Free Breakfast, Restaurant, Pets Allowed, Non Smoking Rooms. W20335478-01 A restaurant tour desk and all the comforts of home await our guests at the Imperial Hawaii Resort at Waikiki. The Imperial offers 270 suites all with 37-inch flat-panel TVs high-speed internet access mini-fridges coffeemakers and ceiling fans. Free Internet,Outdoor Pool, Restaurant, Non Smoking Rooms. W58245760-01 Evoking the Hawaii of yesteryear the non-smoking Moana Surfrider a Westin Resort & Spa the grand First Lady of Waikiki offers a private beach and an oceanfront pool. Swimming Pool, Restaurant, Non Smoking Rooms. Currently as low as $274.00/night! W58245760-01 Two pools and a 70-foot water slide make for a fun stay at the non-smoking Sheraton Waikiki. 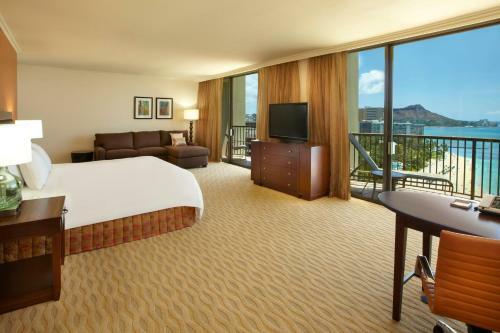 The Sheraton's 1634 rooms are set in a 31-story tower on a prime stretch of Waikiki Beach. Most rooms have lanai and either partial or full ocean views. Swimming Pool, Restaurant, Non Smoking Rooms. Currently as low as $343.17/night! Swimming Pool,Outdoor Pool, Non Smoking Rooms.